High-quality teaching is vital for student success. We can all agree that quality professional development is essential to improving teaching. When teaching improves, students will benefit. I'm very passionate about providing quality professional development in our schools. I think it is important for leaders to model the same kind of delivery as we expect from our very own teachers in the classrooms. STEM is everywhere- all around us. STEM must also be a strong force in our schools. Did you know the fastest growing careers are in Science, Technology, Engineering, and Math? 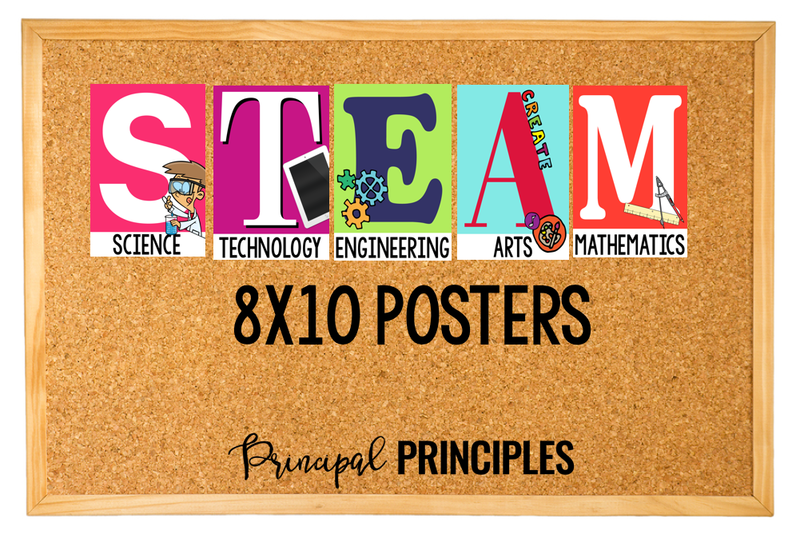 Exposure to STEM/STEAM is important in the 21st century learning as it allows our students to succeed in higher education, as well as, a variety of those career choices. STEM isn't just for Career and Technology classes or for secondary students. This is a vision that should begin in the early grades. The benefits of STEM in the classroom builds many non-academic traits. 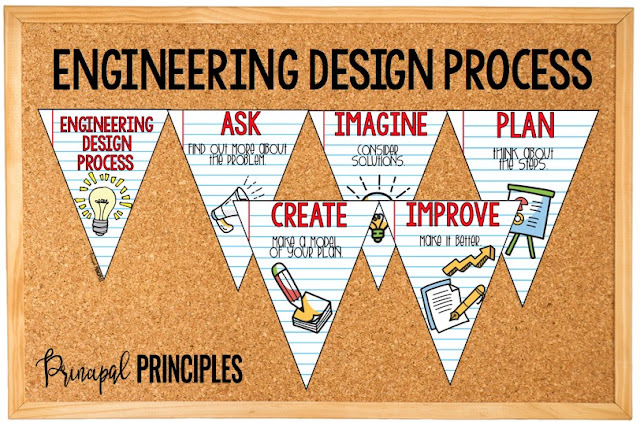 Students will build creativity, collaboration, communication, teamwork, critical thinking skills, confidence, perseverance, risk-taking, and so on... Regardless of college or no college degree, every future career choice will require these skills. 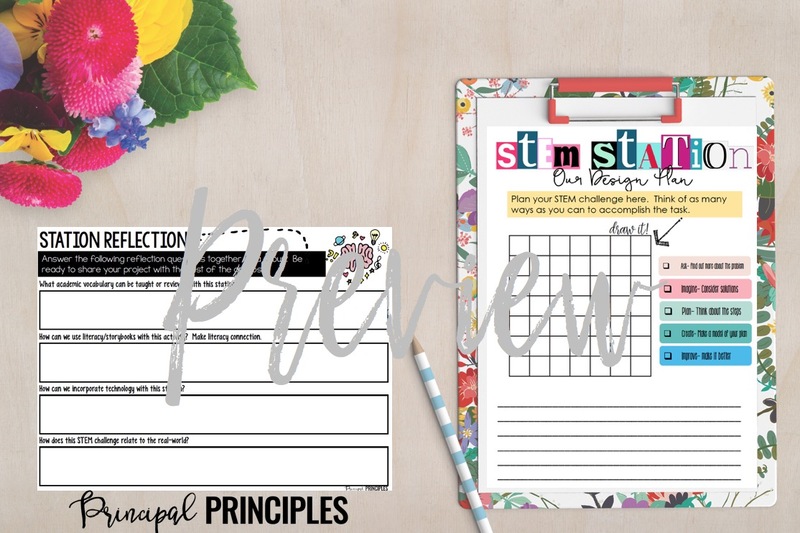 With that all beginning said, I have decided to start sharing some PD resources with you. I hope you find this as a big help to you as a school leader. 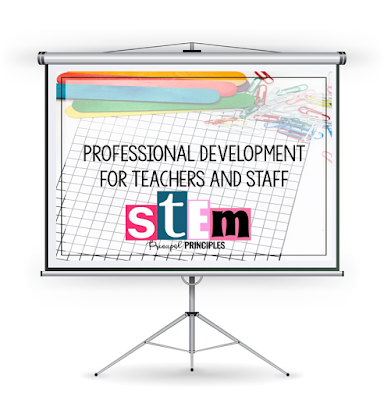 Just download the Professional Development for Teachers:STEM resource and prepare an amazing day for your staff. 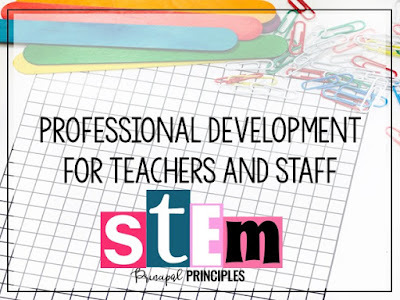 In the Professional Development for Teachers and Staff: STEM, I have included a traditional presentation, 6 hands-on learning stations for teachers, a planning and design sheet, STEM/STEAM Posters for the classroom, Engineering Design Posters, Informational Guide and STEM Station Table Tents. 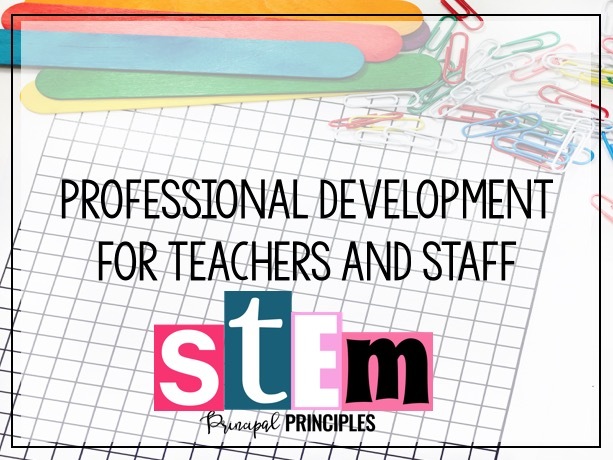 If you are just starting out implementing STEM or any other new instructional endeavor, professional development (PD) is not a one time event. PD is a process that should be consistently scheduled throughout the year. 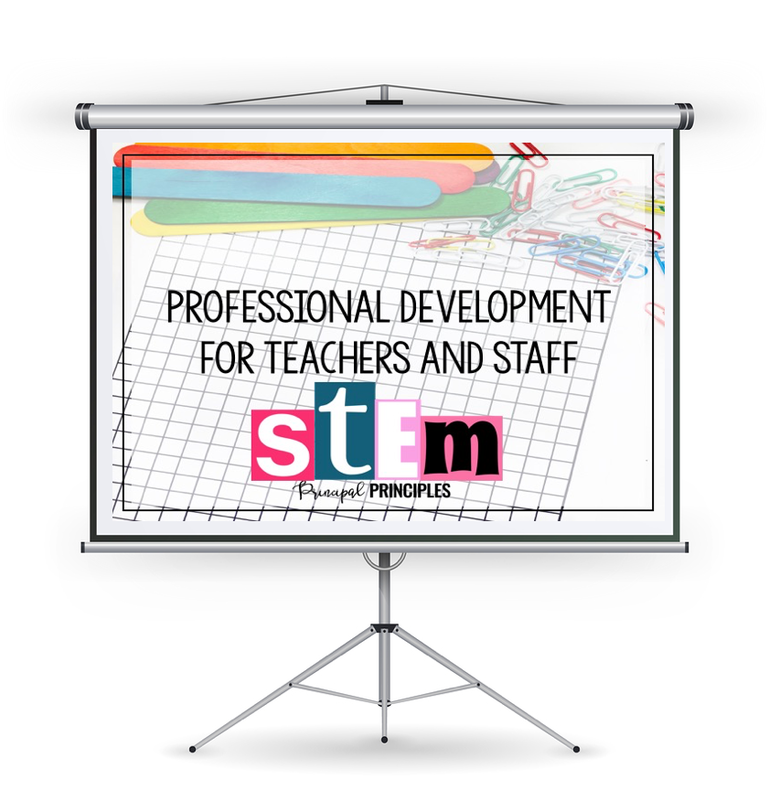 Please do not make this STEM PD the only resource you use. It is meant to give your teachers an overview of it and experience hands-on learning. Use any part(s) or all of this resource. Try adding to it with your own ideas and creations. Every school is unique. The teachers on your campus may have background in STEM and some may have little to no experience. I suggest using your teachers with experience to help lead this PD, as well as, any future trainings. I’m all for teacher leadership and empowering our own staff. Prior to starting this training, set up your training room with the designated stations. Create additional stations, if you wish. 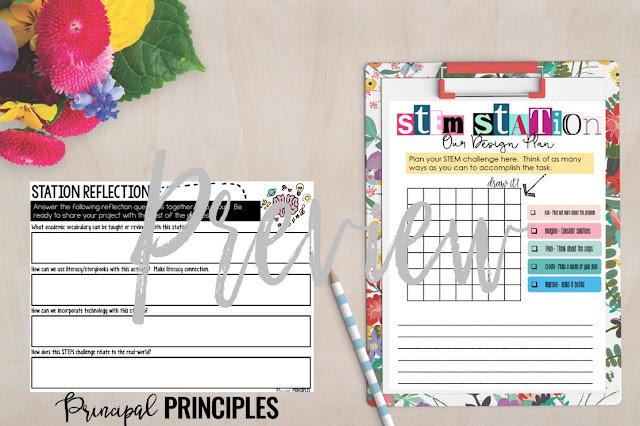 Decide how you will group your staff and how many adults will be in each group. The bottom-line- Professional development is about increasing student achievement. This all starts with growing our staff. Make sure there is follow-up training and follow-through in the classroom. The learning doesn’t end in the training room.